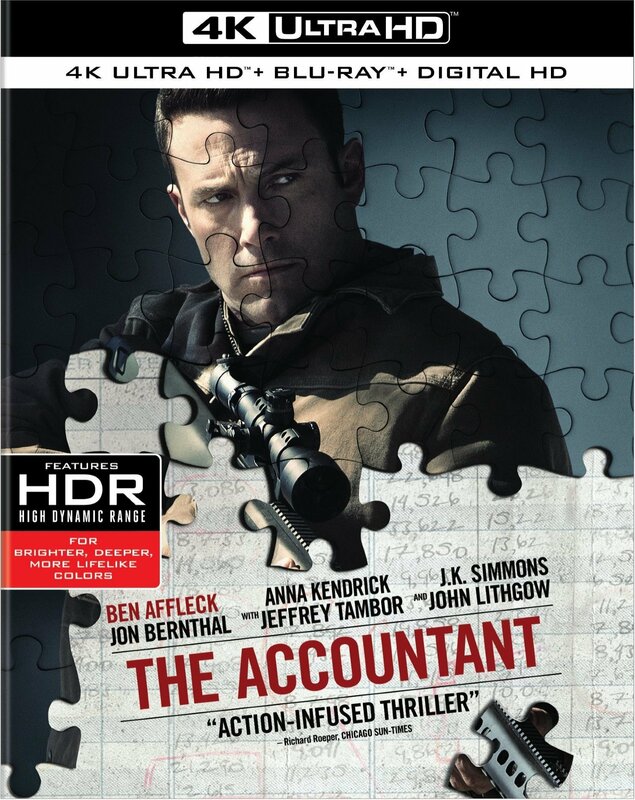 Synopsis: Christian Wolff (Ben Affleck) is a math savant with more affinity for numbers than people. Behind the cover of a small-town CPA office, he works as a freelance accountant for some of the world's most dangerous criminal organizations. With the Treasury Department's Crime Enforcement Division, run by Ray King (J.K. Simmons), starting to close in, Christian takes on a legitimate client: a state-of-the-art robotics company where an accounting clerk (Anna Kendrick) has discovered a discrepancy involving millions of dollars. But as Christian uncooks the books and gets closer to the truth, it is the body count that starts to rise. - Inside the Man - Uncover the secrets behind a unique action movie hero. - Behavioral Science - an inside look at how Christian Wolff's condition affects his behavior. - The Accountant in Action - He's precise, swift and deadly. Stunt and weapon specialists detail how specific training draws out Christian Wolff's one-of-a-kind talents and skills.